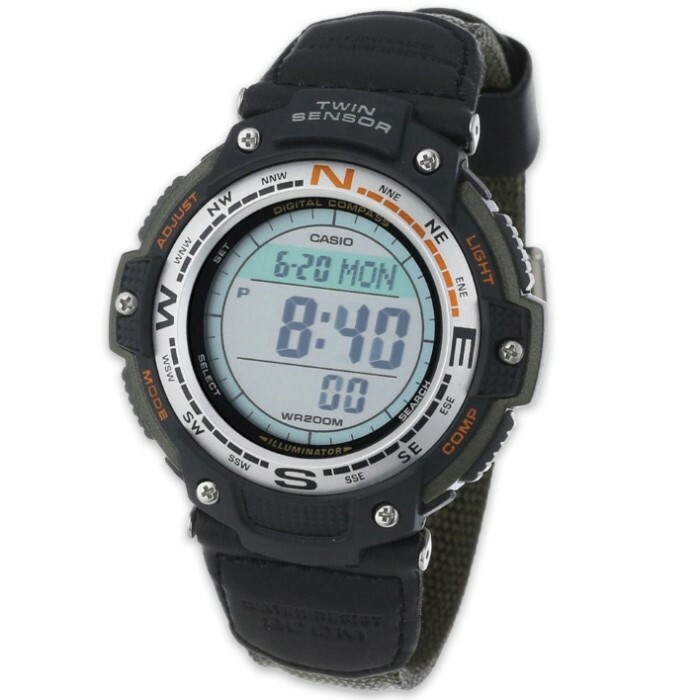 Casio Digital Sport Watch | BUDK.com - Knives & Swords At The Lowest Prices! Perfect for sports, work and practically any other activity, this Digital Sport Watch from Casio packs Twin Sensor and temperature and direction readings into the multitude of applications this watch offers. Resistant to 200 meters, it's perfect for water enthusiasts, too. Other features include backlight with afterglow, four daily alarms, a countdown timer, world time and much more.